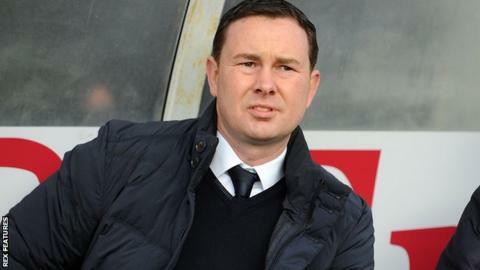 Plymouth Argyle manager Derek Adams says he is looking forward to planned changes to the loan system. Fifa wants lower-league clubs to stop emergency loans, where sides can bring in players for between 28 and 93 days outside of the transfer windows. English football was allowed one final season of the current system last year, but that reprieve runs out in May. "Next year, when the new system comes in, it'll be beneficial for Plymouth Argyle," Adams told BBC Radio Devon. "We'll get a bit of continuity in League One and League Two." Argyle took in Crystal Palace centre-back Luke Croll and Brighton goalkeeper Christian Walton on emergency loans last November as cover for injuries, but currently have no players who have joined outside of the transfer windows. And, while many clubs in the lower leagues rely heavily on the system, Adams feels all clubs should do their business in the summer or January. "It's beneficial for the clubs in some respects, in that players can come in on loan and that can change you and you can take in a better standard of player for a cheaper cost," said Adams, who has been in charge at Home Park since the summer.